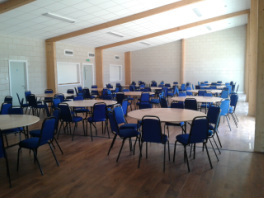 Honington & Sapiston Main Hall has been designed to accommodate and facilitate a whole range of events and special occasions. Easy access to the hall via Bardwell Road, Parking for 60 cars. Superbly easy to work bar designed in association with Greene King capable of serving keg beers and lagers. 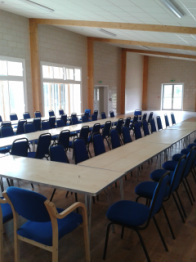 Much of the hall furniture is included in the hire cost. 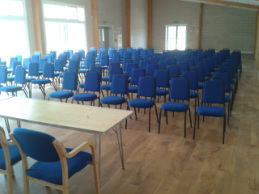 Experienced Event Coordinator on the committee to assist you with all your booking requirements free of charge. ​N.B. Whilst the committee are happy for you to arrange bouncy castles in the hall for children's parties we do not allow scooters that can sometimes be hired with a bouncy castle we have found that they leave marks on the hall floor.